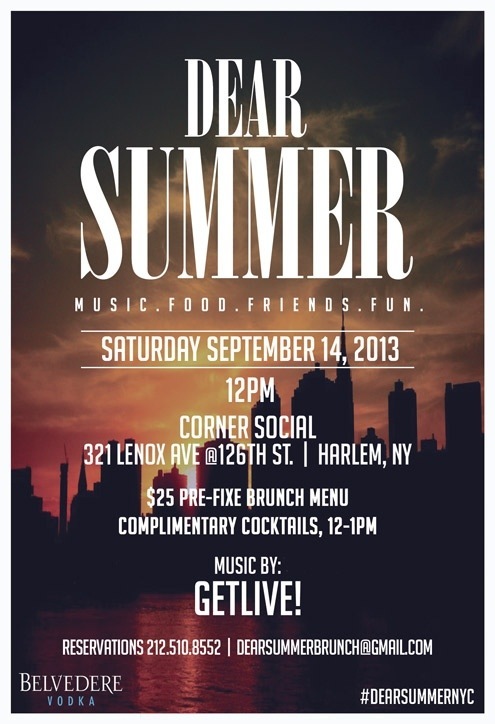 Say goodbye to summer at The Corner Social in Harlem | HarlemGal Inc. This entry was posted in Bars, business, Corner Social, food, Harlem, Harlem blogs, Harlem businesses, Harlem restaurants, Lenox Avenue, music, restaurant row, restaurants and tagged Harlem, Harlem Restaurants, Lenox Avenue, The Corner Social. Bookmark the permalink. I wanted to go here when I was in NY. Didn’t get a chance. Heard it was nice.